Many claim that those who make wine are artists, while others consider winemaking more of a craft. At Trisaetum Winery in Newberg, Oregon, Proprietor and Winemaker James Frey fulfills both roles as an artist and craftsman. 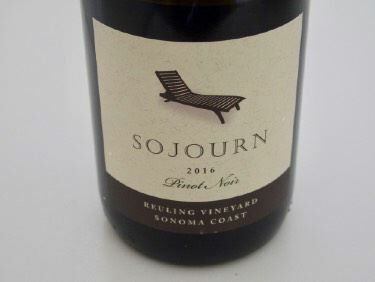 Despite the excellence of the Pinot Noir (and Riesling, but that is another story) produced at Trisaetum, beginning in 2005, the winery has been somewhat under the radar of publicists. 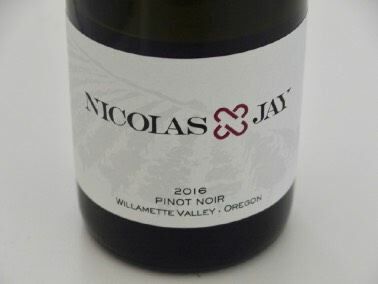 You won’t find the winery mentioned in John Haeger’s Pacific Pinot Noir (2008), Cole Danehower’s Essential Wines and Wineries of the Pacific Northwest (2010), photographer Andrea Johnson’s Spectacular Wineries of Oregon (2014), or in The Wines and Wineries of Oregon’s Willamette Valley (2017) by Nick Wise and Linda Sunshine. That is all the more reason to read this interesting untold story about Trisaetum Winery and vintner James Frey. James grew up in Santa Cruz, California and matriculated from UC Berkeley before going to graduate school at the University of Arizona. He earned a master’s degree in Exercise Physiology and an MBA. Like so many successful winemakers, he did not grow up thinking about winemaking as a profession and learned to make wine by doing it. 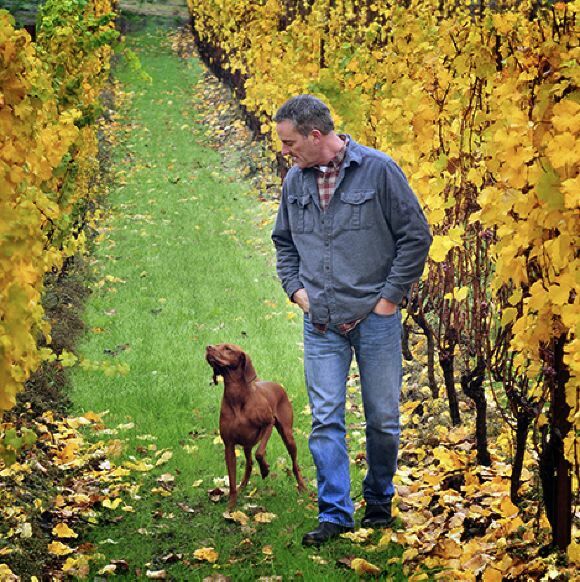 He began by planting an acre vineyard in his backyard almost twenty years ago and started making wine on his patio (a sort of outdoor garagiste). James and his spouse, Andrea, who he met at the University of Arizona, did an internship in Oregon while in graduate school, and both realized that Oregon was where they wanted to raise their family. In 2003, James and Andrea, along with their young children Tristen and Tatum moved to Oregon. 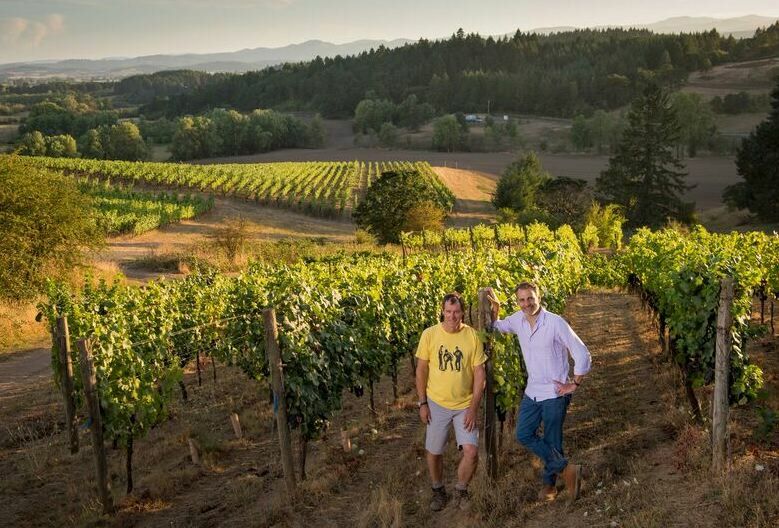 They bought a piece of land in the eastern foothills of the Coast Range mountains and planted the first of three vineyards that now make up Trisaetum. In the field, James dry-farms all three estate vineyards. All of the stems, skins and seeds from harvest go into a compost pile and are returned to the vineyard. 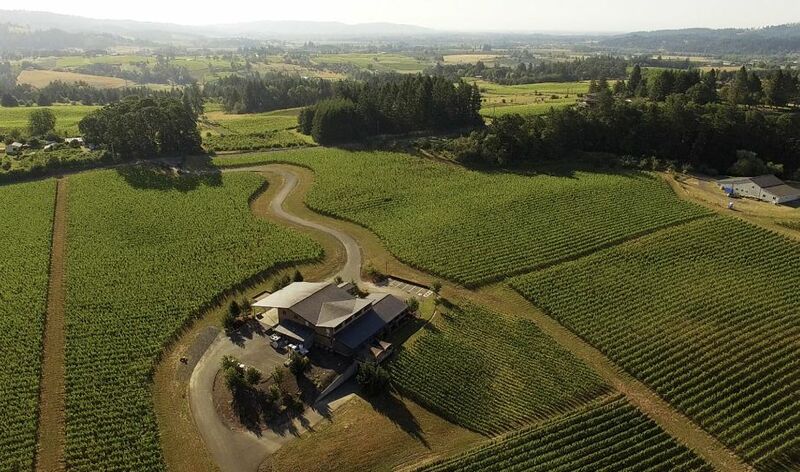 The three estate vineyards include the 17-acre Ribbon Ridge Estate planted to Pinot Noir and Riesling in the Ribbon Ridge AVA with predominantly marine sedimentary soils, the 23-acre Coast Range Estate planted to Pinot Noir and Riesling in the Yamhill-Carlton AVA with diverse sedimentary and volcanic soils, and the 11-acre Wichmann Dundee Estate planted to Pinot Noir in the Dundee Hills AVA, with volcanic Jory soils. In the winery, the grapes are 100% hand-harvested and hand-sorted. The use of sulfur is kept to a minimum. With Pinot Noir, either significant whole cluster or 100% de-stemmed fermentations are chosen based entirely on how the stems taste. In riper vintages, the percentage of whole cluster can be as high as 70%. Each ferment starts with native yeasts and if fermentation progresses to his liking based on smell and taste, the fermentation stays native. After harvest, James tastes every ferment each morning at 6:30 a.m. and determines what needs to be done based on this tasting (a Jacques influence). Fermentations that are close to finishing get tasted throughout the day. In addition to James’ role as proprietor and winemaker of Trisaetum Winery, he has long been an accomplished abstract expressionist artist. His winery houses a 1,500-square-foot gallery displaying his works. Over the past decade, over 300 of James’ paintings have been sold to collectors and corporations throughout the world. His art is displayed nearby at The Allison Inn & Spa in Newberg, and far away at The Clarion Post in Gothenburg, Sweden, Maison Louis Jadot in Beaune, and the Masters of Wine offices in London. View the 2018 James Frey Collection athttp://www.jamesfreycollection.com/work#/2018-collection/. Trisaetum (“Tris-say-tum”) is a Latinized version of the names of James; son Tristan and daughter Tatum. The Trisaetum Tasting Room and Art Gallery at 18401 NE Ribbon Ridge Road, Newberg, OR, is open daily from 11:00 a.m. to 4:00 p.m. Three flights are offered daily, each with five wines. The tasting fee is $20 per person refundable with purchase of a bottle per taster. The showcase winery has a dramatically lit underground wine cave in addition to the art gallery. 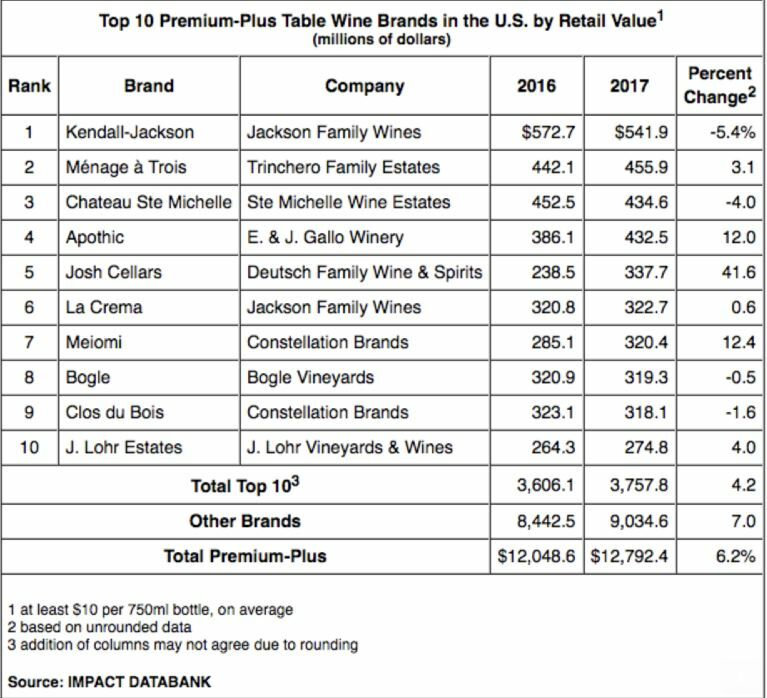 Trisaetum wines, including Pinot Noir, Chardonnay and Riesling, are distributed throughout the U.S. Several Wine Club options are available with significant discounts. For more information, visit the winery website at www.trisaetum.com. 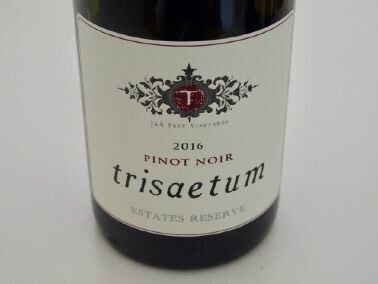 I previously glowingly reviewed the 2015 vintage Trisaetum Pinot Noir lineup - www.princeofpinot.com/winery/ 737/ - and the 2016 wines reviewed here are also stellar. 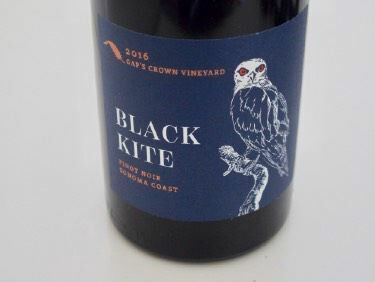 Black Kite Cellars was founded by Tom and Rebecca Green Birdsall to showcase the individual Pinot Noir blocks that comprise the family’s 12-acre Kite’s Rest Vineyard in Anderson Valley. 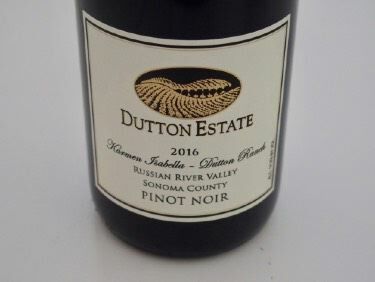 In addition to estate Pinot Noir, Black Kite Cellars produce small lots of Pinot Noir and Chardonnay from similarly expressive vineyards in both the Sonoma Coast and Santa Lucia Highlands. 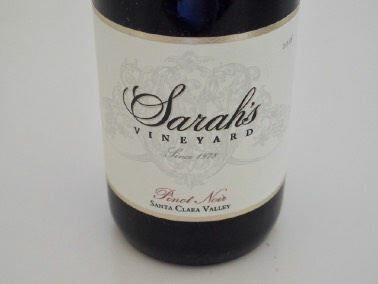 The bold Pinot Noirs typically feature ripe fruit and high extraction, generous new oak aging, and adequate acidity for balance. These two wines are vinted and produced by Kendall-Jackson Vineyards & Winery. These wines were tasted with winemaker Erich Bradley in April 2018 and again in my usual fashion at home. A Push to Require “Willamette Valley” on all Wines from Willamette Valley A recent Town Hall meeting was held at which David Adelsheim and Ken Wright pushed for legislation to require Willamette Valley be listed on a wine’s label if it is produced in the Willamette Valley, even if from one of the sub-AVAs. Also, they want to pass legislation to require Pinot Noir and Chardonnay from the Willamette Valley to be 100% of the grape variety if Pinot Noir or Chardonnay is on the label. 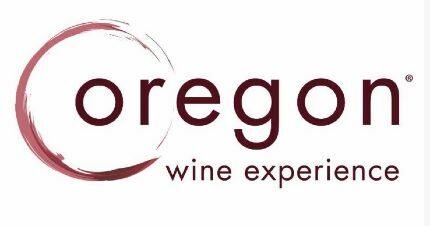 Oregon Wine Experience The 2018 Oregon Wine Experience in Jacksonville, Oregon, kicks off with the Oregon Wine Competition® August 4-5, with the winners announced at a celebratory soiree on August 23 (admission $200). The Founders’ Barrel Auction admission $100) will be August 23 featuring barrel tastings of exclusive blends and auction of custom crush and wine futures. The Miracle Auction and Salmon Bake will follow on August 25. The Miracle Auction will include both live and silent auctions as well as an opulent dinner, entertainment and tastings from award-winning wineries (admission $275). The Grand Tasting will be held on August 26 (admission $100) and will be a community tasting featuring more than 100 Oregon wineries. Visit www.theoregonwineexperience.com for more information, to preview auction items and wine futures and obtain tickets. 2018 Harvest on The Coast Weekend San Luis Obispo Coast Wine Country will hold its Grand Tasting & Wine Auction as part of the larger Harvest on The Coast weekend celebration on Saturday, November 3 at Avila Beach Resort. The night before will be the “Crafted on the Coast” collaborative winemaker dinner at the Casitas Estate and catered by Flora and Fauna. On Sunday, November 4, “Surf’s up Sunday” will offer open houses throughout the region (complementary to all who attend Saturday’s Grand Tasting). For more information and tickets, visit www.slowine.com/events/harvest-on-the-coast.php. Wine Tours in Santa Ynez Valley The Santa Ynez Valley is home to more than 100 wineries spread across six distinct communities. Wine tour operators have experienced a resurgence in this region as they can enhance the wine-tasting experience. Many are experts in the Santa Ynez Valley wine industry and know the wineries and winemakers intimately and have vetted them in advance. Choices include Breakaway Tours & Event Planning, Classic Wine Tours of Santa Barbara, Compass Wine Tours, Grapeline Wine Tours, Los Olivos Limousine & Wine Tours, Santa Barbara Wine Country Tours and Stagecoach Co. Wine Tours. Visit www.visitsyv.com to research wine tours along with events, attractions, activities and lodging options. Devil’s Gulch Ranch for Sale Owners Mark and Myriam Pasternak have decided to sell their ranch located in Marin County. 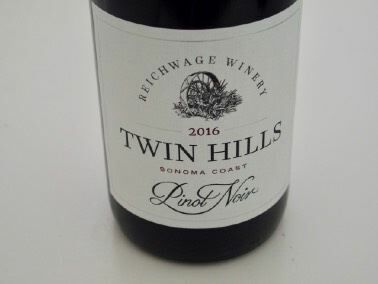 The ranch’s vineyard is well known to Pinot Noir aficionados who prize wines made from Devil’s Gulch grapes by Dutton-Goldfield, Sean Thackrey and others. For further details email Mark at mark@DevilsGulchRanch.com. Documentary About Minority Winemakers in Oregon A new documentary, ‘Red, White & Black,’ by filmmaker Jerry Bell Jr., portrays the obstacles that Oregon’s minority winemakers face in their quest to become respected and successful winemakers. For screenings, visit www.redwhite-black.com. Also, a related article is the lead story in the August issue of Oregon Wine Press: “Breaking Down Walls - Mexican- Americans build up community with mentorship. Visit https://www.oregonwinepress.com/breaking-down-walls. Brewer-Clifton Tasting Room The winery’s satellite tasting room, opened three months ago, is located in Los Olivos at 2367 Alamo Pintado Ave., and is open daily. Cooper Mountain Vineyards Celebrates 40th Anniversary Cooper Mountain Vineyards, located in the northern Willamette Valley just outside Beaverton, is marking 40 years this fall by a celebration on Saturday, September8, from 2:00 p.m. to 5:00 p.m. with grape stomping, wine tasting, organic food vendors and live music. 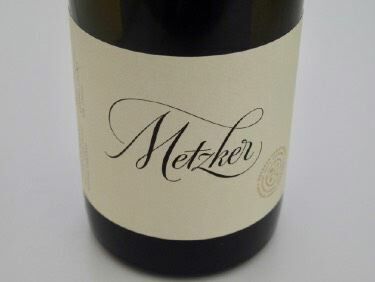 Cooper Mountain Vineyards, which now produces 20,000 cases annually of Pinot Noir, Chardonnay and five other varietals was the first winery in the Pacific Northwest to earn Demeter® Biodynamic certification in 1999. 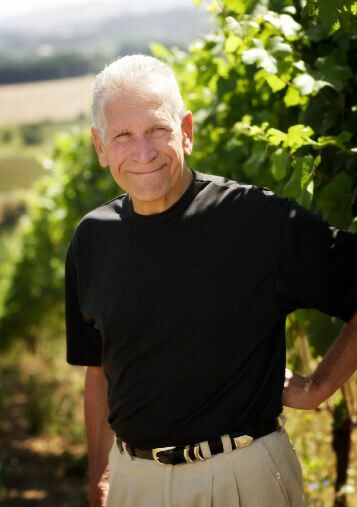 The winery was founded in 1978 by Dr Robert Gross (pictured), who had a keen interest in holistic farming. For more information on the winery’s ruby anniversary, visit www.coopermountainwine.com. Wine In Cans Challenges Drinking in Moderation The rise in popularity of canned wine is remarkable. Nielsen claims a 125.2 per cent increase in sales of canned wine in the past year. Of concern, however, is that a typical can contains 375 ml, or 12 ounces, the equivalent of three standard 4-ounce drinks. Tallboy wine cans contain almost the equivalent of a 750 ml bottle. Drinkers are used to polishing off a couple of 12-ounce cans of beer, but drinking two cans of 375 ml wine would be equal to an entire bottle of wine! Winemaker Video Series: David and Jasmine Hirsch Skurnick wine distributors have posted a lengthy video on David and Jasmine Hirsch of Hirsch Vineyards located in the West Sonoma Coast. To view the video, visit https://www.skurnik.com/american-winemaker-video-series-jasmine-hirsch-of-hirsch-vineyards/. California Wine Month Specials from California Inns In celebration of California Wine Month in September, several members of the California Association of Boutique & Breakfast Inns (CABBI) are offering wine packages for guests. Many of the specials run through November and some are valid year-round. For Pinot Noir fans, consider Sonoma County’s Farmhouse Inn. Guests can save up to 20% and receive $100 toward the inn’s newest farm-to-fork “food truck” concept. The FARMSTAND special applies for any midweek stay of two or more nights, now through November 30, 2018. Guests receive a concierge-curated, personalized tasting itinerary to some of the inn’s top winery partners. Another option is the CourtWood Inn in the Calaveras wine country town of Murphys. I stayed here recently for three nights and thoroughly enjoyed the experience. The owners, Chris and Larry Parker, opened their cedar log lodge in 2014 on a 5-acre hilltop just over a mile outside of the quaint town of Murphys. The lodge has five distinctive rooms with a tennis theme and has two tennis courts. The hosts, who are extremely personable, are offering 10% off on the cost of the CourtWood Wine Tasting Tour. The tour includes van transportation with flexible scheduling, a personalized wine tour itinerary, a winery guide, all winery tasting fees, a picnic lunch, chilled beverages, and two souvenir wine glasses. Thirty-eight grape varieties (one winery even grows Pinot Noir!) thrive in twelve microclimates across a 3,000-foot change in elevation in Calaveras County wine country. Picturesque vineyards and wineries are nestled in the rolling hills throughout the region. Call 209-728-8686 to arrange a stay and wine tour. Alcohol Intake and Risk of Alzheimer Disease A recently published study in the British Medical Journal, “Alcohol consumption and risk of dementia: 23-year follow-up of Whitehall II cohort study,” http://dx.doi.org/10.1136/bmj.k2927 was reviewed by the International Scientific Forum on Alcohol Research who thought this was a well-done analysis. The study showed a decreased risk of dementia for moderate drinkers. The results support the findings from most well-done prospective cohort studies. The main results indicated that abstinence in middle life is associated with a significantly higher risk of dementia than the risk among moderate drinkers, while subjects reporting the intake of larger amounts of alcohol or evidence of an alcohol use disorder are at increased risk of dementia. The Forum felt that the study further shows, in terms of the risk of dementia as well as cardiovascular disease, middle-aged and older individuals who are consuming alcohol moderately and without binge drinking should not be advised to stop drinking.